30 cm tall (12 inches). Depth: 23 cm (9 inches) from wall to end of wolf nose. 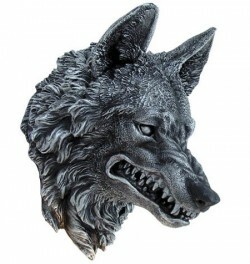 Silver brushed black resin Wolf Wall Plaque.